Recently my friends at Cabot sent me a care package loaded with their Legacy Collection Alpine Cheddar. And of course, I knew exactly what I wanted to make with this ah-mazingly delicious cheddar. It would have to be the king of decadent foods, lobster mac and cheese. 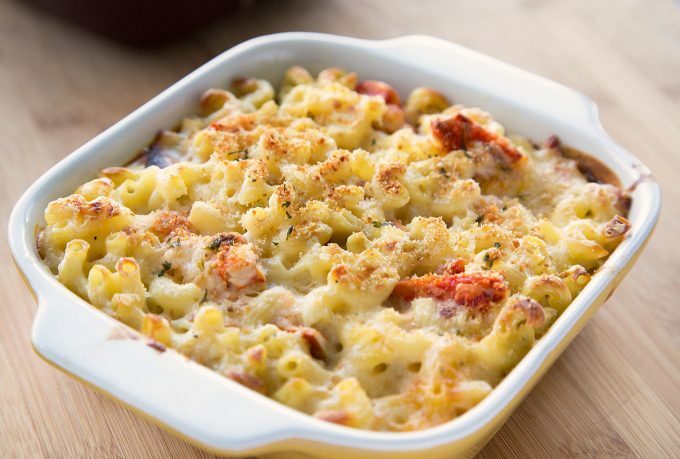 You can find lobster mac and cheese on high-class restaurant menus, pubs and even some of those delicious dives we all love, it’s just one of the comfort foods that calls to us. As it whispers in our ear, worry about the cholesterol tomorrow and just enjoy deliciousnesses tonight. I love being a chef, mostly because I can shop a chef. One of my favorite stores will always be Restaurant Depot. You don’t have to be a chef to shop there, but you do need a membership card. When we moved to Florida three years ago, although I was ecstatic about the move, I felt displaced from the industry I loved and had spent my life working at. When I saw there was a Restaurant Depot in Orlando, I decided to stop in and pick up a few items I couldn’t get at Publix and for me, it was like going home. I actually got a lump in my throat and felt a little teary eyed. I was still a chef and the fact that I no longer worked in the industry didn’t matter because I could still shop like a chef. I was with my people……sigh. Of course, I ramble sometimes but I tell you this because the lobster meat came from restaurant depot in a lovely 2-pound package. The rest of which went on to become lobster rolls. 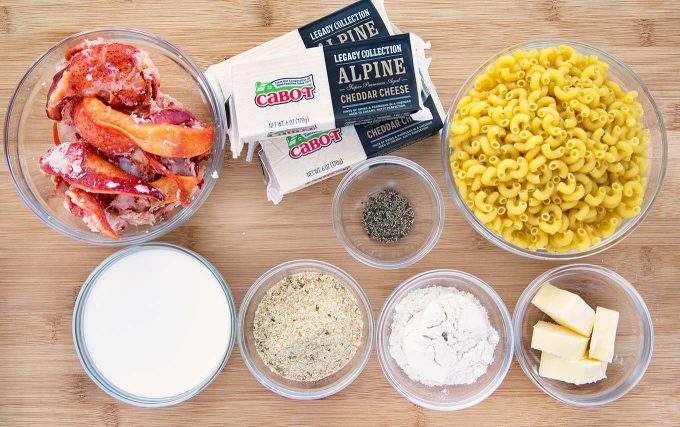 Let’s get started with the Lobster Mac and Cheese by gathering our ingredients (aka Mise en Place). 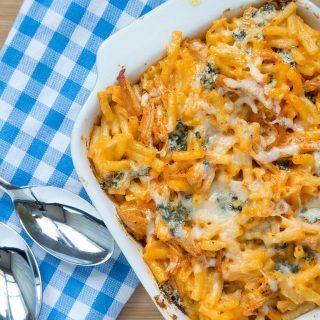 Making the cream sauce for the mac and cheese is pretty easy to do and the real trick to the dish comes when you assemble and finish it. If you let it sit too long the noodles will absorb the cream sauce and the mac and cheese will be dry. So to make sure it’s the best it can be, the cheese sauce should be hot and the noodles room temp or warm. Don’t mix it all together and instead layer the noodles with some sauce lobster, more noodles and more sauce. Top with breadcrumbs and finish under the broiler. Don’t let it bake or sit any longer than you have too. In truth, I let mine sit a little too long and although it was delicious, it could have been creamier. I didn’t use all my cheese sauce either, which was Lisa’s preference, so it would have been a little creamier with that as well. I love a good cheddar cheese sauce and any of the Cabot Cheddars would make a delicious mac and cheese. My all-time favorite cheese is the Cabot Clothbound Cheddar, you just can’t usually find it in the grocery stores (not even restaurant depot). And this is epic eating cheese, each bite to be savored……..sigh. This was not a sponsored post, I just love the deliciousness of Cabot Cheese! Thanks for finding my recipe and giving it a try Dave! I do love Cloth Bound Cheddar. Thanks for the great rating and comment Susan, I’m glad you liked the recipe and you can indeed substitute the lobster with crab. 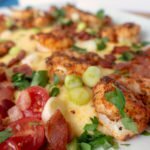 I do have a cheesy crab dip https://www.askchefdennis.com/cheddar-lobster-dip/ and also a shrimp scampi dip and also a crab imperial recipe that is amazing! I made this and it turned out really well. I made a few changes, but I don’t think it effected the over all recipe. I added an extra 1/2 liquid,the liquids were 1 cup of milk,1/2 cup of beer,1/2 c heavy cream ,1/2 cup of half-half. I left out the bacon and I mixed it all together I did not layer it. Again it turned out well the sauce was nice and it reheated well. This is absolute HEAVEN in my mind! Hubba hubba! 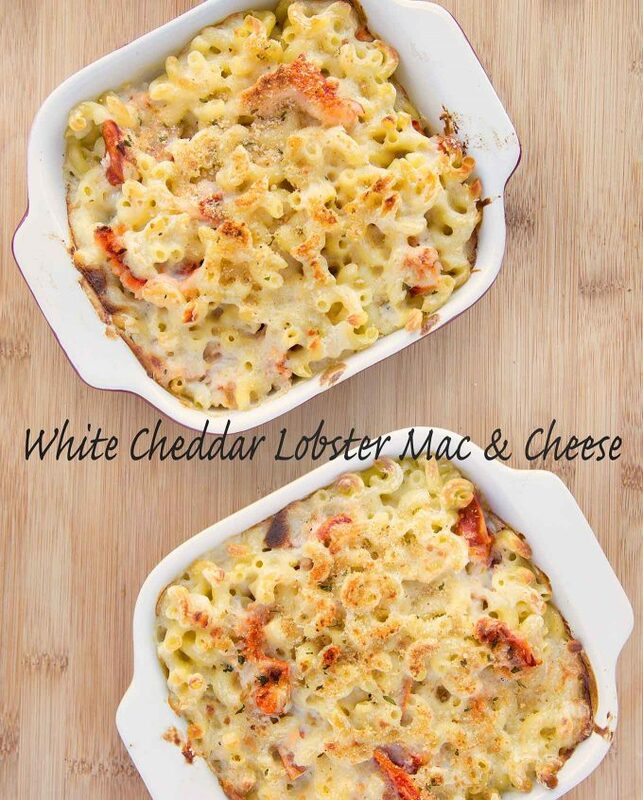 Lobster and then white cheddar and than mac & cheese. YEEESSSS please oh please! Is sharp cheese and Swiss cheese a must use in lobster mac&cheese? Not at all, feel free to use whichever cheese you like. My cheese sauce was a bit gritty, what did I do wrong? it could be a number of things Mary. 1) the sauce could have gotten too hot causing the cheese to separate 2) The roux may not have been cooked long enough 3) the cheese you used could have been not properly aged. Off brand cheeses sometimes take shortcuts. If I accidentally under cooked the lobster tails, will the finish cooking in this dish? 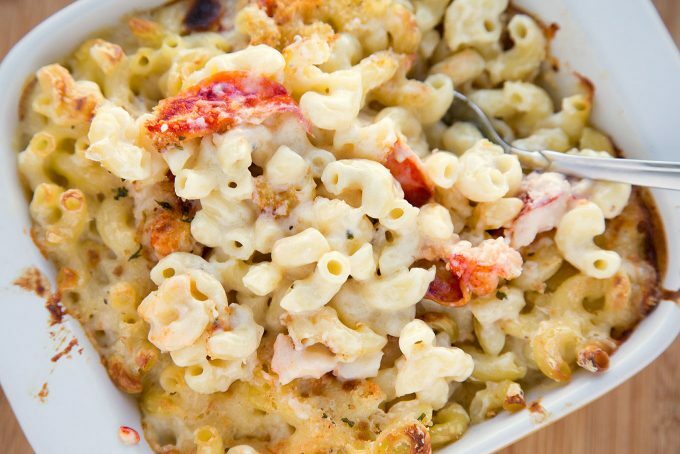 the lobster will continue cooking as you bake the mac and cheese. 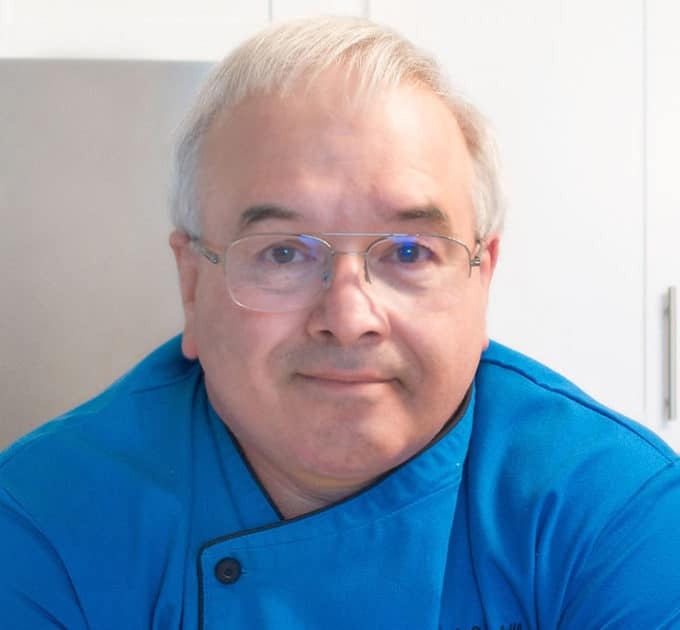 I’ve just discovered Chef Dennis and I am so glad that I did. As a former editor-in-chief of a magazine brand that featured “tested-till-perfect” recipes, as well as a number of cookbooks, recipes are definitely my thing. I’m definitely going to add this dish to my vigilia di Natale (Christmas Eve). What I really liked about Dennis’ great recipes is his recipe style and that he explains terms and gives tips that will help any home chef. Thank you Chef Denis! Wishing you the very best for the holiday season and new year. Buon Natale! Can this be made in a crock pot? If so, how? I don’t think that’s a good way to cook this dish. 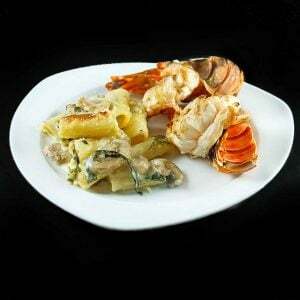 The lobster would get seriously overcooked and the pasta would get mushy. My husband wants me to make this to bring as a side on thanksgiving. What would be the best way to prepare it ahead of time and still keep it creamy since there won’t be a way for me to cook it at our destination other than to maybe put it under the broiler? the problem with cooking this and traveling is as it sits the liquid gets soaked up making the end product a little dry. 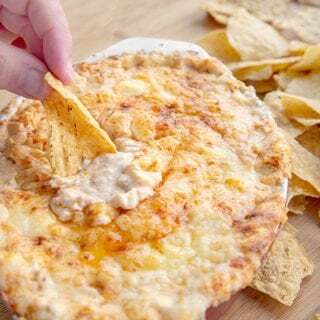 The only way to combat this would be to bring some extra cheese sauce with you and mix it in before serving. 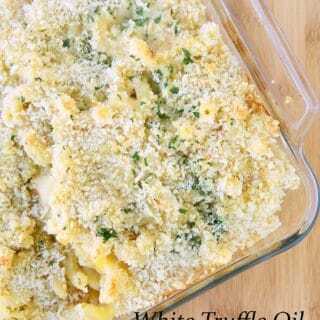 (Increase the recipe by adding another 1/2 cup of milk, this will give you a little extra sauce) You could microwave the sauce a bit or heat it under the broiler. I do love Cabot Cheese, its always my first choice! It was pretty tasty and I hope you enjoy it as much as we did. This is not the correct page to thank you but, I couldn’t find a link to do so for the most fabulously, amazing, authentic perfectly worded Tiramisu recipe. I made this for a dinner party last night and was too excited to sleep wondering how it would turn out. Mind you, there are many fake recipes out there but this was, as my very Italian, Italian partner said to me, the best Tiramisu he has eaten since Rome and Sicily!!! Thank you so much. I’m very happy to hear that you enjoyed my tiramisu recipe. It truly is the best I’ve ever tasted in the states. Oh my gosh!! This looks fabulous. I will definitely be making this with crab! Its my husband’s favorite. YUM looks delicious! 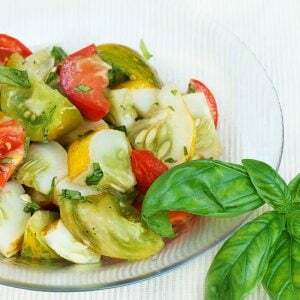 I want to try this recipies! yes it was pretty awesome. Feel free to add in some of your favorite cheese as well. I wonder how this would work in muffin tins for appetizers?? it should work fairly well Anne, it just may be a little drier than normal.